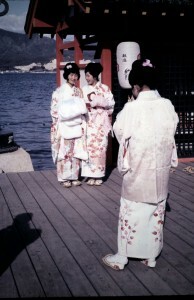 My mom took this photo in Miyajima, an island off the coast of Hiroshima. She traveled there on New Year’s Day, 1965. Unlike many Asian countries, Japan celebrates the new year on January 1 of the Gregorian calendar (this practice started in the 1870s when Japan stopped observing the lunar new year). The new year is an occasion to eat special food, send postcards to family and friends, and dress in new clothes. 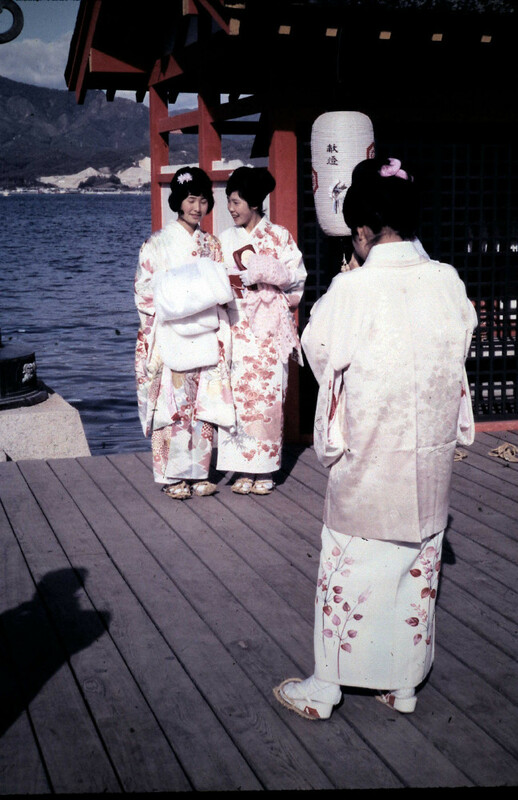 Even back in 1965 (and in 1991 when I stayed in Japan over the new year), women who’d adopted western fashion dressed in kimono for this important holiday.